If you missed director Lech Majewski and his excellent movies in Seattle, you can catch up with some of them in Portland on Nov 19 & 20 and then Nov 28 & 30. The Albrechts drove through Poland from Wroclaw & Cracow, through Czestochowa& Warsaw to Malbork and Gdansk, visitng as well the hometowns of Bob's grandparents near Poznan and Ilawa. Bob Albrecht has woven into his film elements of the country's long, rich and unstable history. Albrecht found Poland lively, interesting, and beginning to prosper - he says it is emerging again and well worth a visit! Sponsored by the UWRA Travelogue and Dinner. According to the old Polish tradition, Andrzejki (a party on St. Andrew’s eve, Nov 30) was the last party of the year, with some special customs such as divining future from pouring hot wax on water. (Wax pouring is not planned this year). Music by DJ Filip from Portland. The restaurant and bar will be open from 7 pm. You need to be 21+ to attend. The book for the meeting is Fototapeta by Michal Witkowski published by WAB in 2006. Witkowski is the author of the gay best seller Lubiewo. Fototapeta, nominated to Nike 2007, is a set of short stories that examine topics such as how the young generation perceives the recent Polish history or the kitch and cultural phantoms fed by the modern mass media. The book can be bought on the Internet or borrowed from Club members. Polish Home in Seattle is closed on the Friday following the Thanksgiving. Where: at the Polish Home; admission free! Diana Ackerman is a poet and writer and an author of renown books such as A Natural History of the Senses and An Alchemy of Mind. Her latest book, The Zookeeper's Wife, tells a war story of Jan & Antonina Zabinski saving lives of hundreds of Jews in the Warsaw Zoo during WWII. The Salon of Poetry invites to an evening entitled Invite to the wedding here .. devoted to Stanislaw Wyspianski and his play The Wedding (Wesele). Wyspianski was a famous artist, poet and playwright whose Wedding (premiered in Cracow in 1901) redefined modern Polish theatre. He was a leading artist of the Polish symbolism era and inspiration to many others. The Wedding was famously reinterpreted on the screen by director Andrzej Wajda. The Academic Theatre of the Warsaw University returns to Seattle after a successful visit in 2003. The program is in Polish and includes two parts: 1) Co z nas wyrosnie presents songs by Seweryn Krajewski, 2) Agencja Pana K. is based on Jan Brzechwa's poems for grownups to music by Andrzej Portman. Two songs by Marek Grechuta written for the Theater are also included. Directed by prof. Ryszard Adamski. Kieslowski's Decalogue is a masterpiece series of ten one-hour movies, each devoted to one commandment. The Blessed Sacrament Parish invites to a screening of and a discussion about movie based on Thou shalt not kill. A separate theatrical version of this movie was released as A Short Movie About Killing. Local pianist Ivona Kaminska will perform works by Chopin in a public concert at the Seattle Central Public Library downtown. The program includes Mazurkas Op 24 and Polonaise in A-flat Major Op 53 by F. Chopin. Dr. Kaminska is a Director and co-Founder of the Chopin Academy of Music in Issaquah. This is a monthly meeting of the Project committee. Come to discuss and support more changes at the Polish Home! This is an open meeting, everybody interested in the project is invited to come and discuss issues. Volunteers are also welcomed at the meeting! In this talk, author and photographer Thad Koza will discuss several of Polish tall ships including Dar Pomorza, Dar Mlodziezy, Iskra, Fryderyk Chopin, Oceania, Zawisza Czarrny, Smuga Cienia, Bryza H. Mr. Koza's calendars and books will also be available for sale. Poland regained its independence on Nov 11, 1918, when Jozef Pilsudski became the Head of State after a popular revolt liberated the Polish territories. The program prepared by the Polish Scouts under direction of Iwona Bernacka includes performances by the children from the Polish School in Seattle. After this program, a TV movie 1 wrzesnia with Daniel Olbrychski will be shown. The restaurant will be open from 1 pm till after the concert and movie. Where: at the Polish Home, admission free. The youth group at St. Margaret's Parish invites everybody to a regular disco at the Parish Hall. Music by DJ Filip from Portland well known locally for his very well received discos at the Polish Home. The disco is a fundraiser to support the trip to World Youth Day in Sydney, Australia in 2008. This event is co-presented by SIFF Cinema and the Seattle Polish Film Festival. The first part of the Festival runs November 2-4, please see a separate note. Author and photographer Thad Koza presents a slideshow of the most famous tall ships from different countries, including Polish flagship Dar Mlodziezy. Mr. Koza's calendars and books will also be available for sale. The biggest such event around Puget Sound, the Polish fall bazaar features booths with Polish books and CDs, crafts, pottery, crystal, amber and other merchandise as well as booths by local Polish-American organizations. Folk group Podhale will sing about 2 pm on both days. You can also buy Christmas ornaments and wafers (oplatki), Polish pierogi, home made cakes and sweets as well as enjoy a full course dinner. Organized by the Ladies Auxiliary. 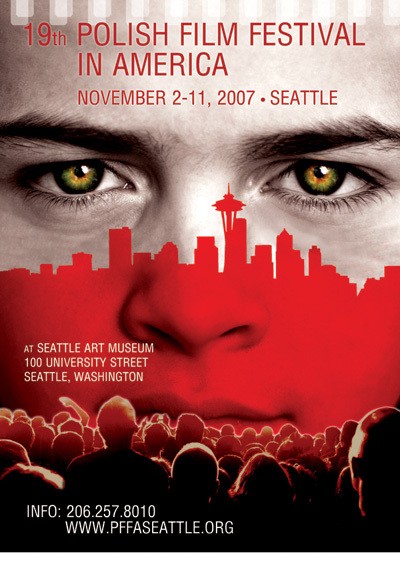 What a year - this is the second Polish film festival in Seattle in 2007. The Society for Arts invites to the 19th Polish Film Festival in America, playing in several cities. In Seattle, the Festival starts on November 2 at the Seattle Art Museum with the Opening Gala and reception for the acclaimed director Krzysztof Zanussi, who will attend the reception. Organized by the Society for Arts (Chicago) and Dr. Michal Friedrich (Seattle). The Festival continues November 9-11, please see a separate note. Prof. Leszek Balcerowicz, the man who masterminded the successful post-communist transformation of Polish economy known as the Balcerowicz Plan and served as the Finance Minister, the chairman of the National Bank of Poland and the chairman of the Polish Fed comes to Seattle! His lecture in the Distinguished Polish Speaker Series is entitled Post-Communist Transformation in Central Europe. The lecture is organized by the UW Polish Studies Endowment Committee and supported by UW PSEC and UW Ellison Center for Russian, East European & Central Asian Studies. Local pianist Ivona Kaminska will perform works by Chopin and Schuman in a concert at the Seattle Art Museum downtown. The program includes Mazurkas Op 24 and Polonaise in A-flat Major Op 53 by F. Chopin as well as Carnival Op 9 by R. Schumann. Dr. Kaminska is a Director and co-Founder of the Chopin Academy of Music in Issaquah.